Horsch has evolved its popular Sprinter drill for 2016 season with a number of modifications to make the drill easier to handle with lower horsepower tractors. The chassis of the drill has been streamlined and the rolling resistance lowered to allow a significant reduction in the power required to operate the machine. A 150hp tractor can handle a 4m Sprinter model easily. 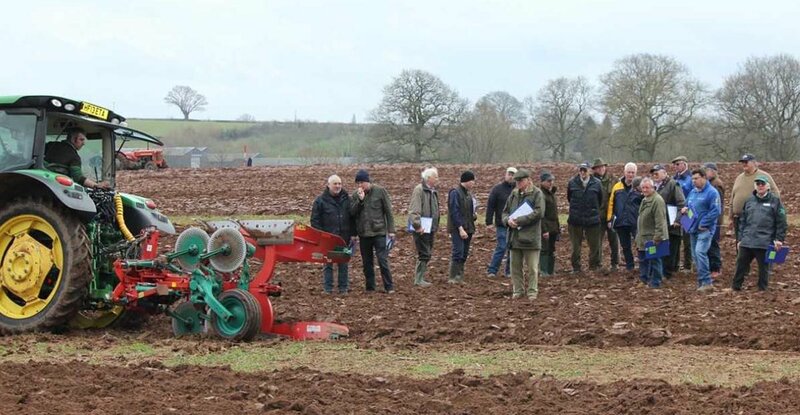 The drill can be used after ploughing, following a cultivator or in a direct drilling role and is able to work in a wide variety of conditions, ideal during a wet sowing season. The Sprinter now has 14 coulters on the 4m model and 22 coulters on the 6m model with a row spacing of 270mm and 280mm respectively, providing more room for the soil to move and settle. A wide range of coulters is available including the Horsch Duett coulter, which places the seed in a band with 65% of the surface covered, and the Ultra LD low disturbance coulter. The Ultra LD’s special shape ensures that even very heavy soils can be loosened deeply without bringing coarse soil to the surface. The Sprinter drill is available in seed-and-fertiliser configurations featuring the Horsch Precision Placement of Fertiliser (PPF) system and offers working widths from 3m to 12m. Using the Horsch Duett coulter, the PPF system places a band of fertiliser in the ground about 30mm below the seed. Seeds are placed just above and to the side of the fertiliser and the following tine harrow and tyre packers consolidate the soil.